In my duties as the paid glass and lamps expert for several major auction houses, I’m regularly asked to review items for potential sale at auction. This past week I reviewed an interesting vase. Most reproduction vases are low enough quality that it takes me a millisecond to identify them. The example above took a few seconds, as the quality of some reproduction vases is improving. Let’s take a closer look, as there are no instant giveaways that an untrained eye would notice. 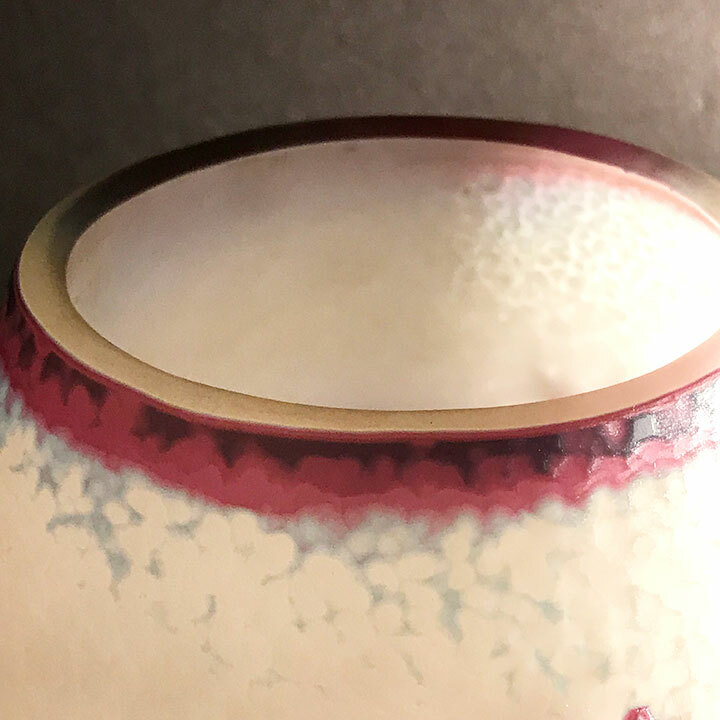 The most obvious is the top rim, which rarely has a ring of colored glass and seldom is ground flat (but there are plenty of exceptions to that rule). Next let’s move to the martelé wheel-carving in the background. It’s very uneven and carved too deeply into the background color. Pictured above is an example of martelé carving on authentic Daum vase. It’s more even and more subtle. 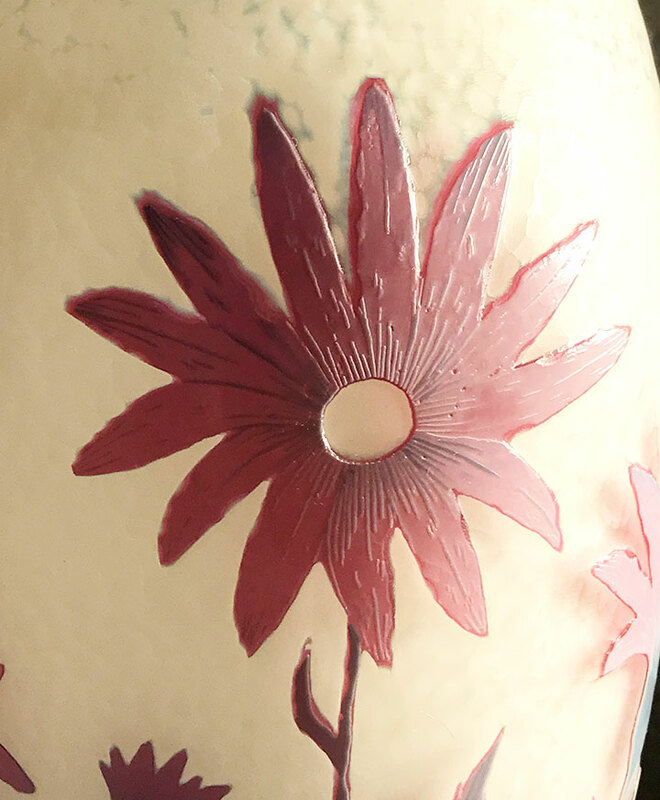 Notice the center of the flower is acid-etched and appears hollow. Daum didn’t do that. The signature is bad, but that would be very tough for an amateur to tell. In this example, notice the A in Daum is modern (and different from the A in Nancy) and the M has a curved trough at the end. They’re just wrong. 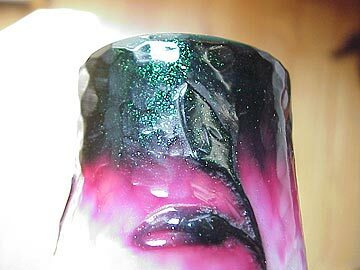 Lastly is the color scheme, which is close, but off. That observation would take a trained eye. I’m curious whether reproductions of this type are coming from Romania. Most of the Gallé and Daum reproduction glass is Romanian. Let me know if you know. If you still can’t tell if your vase is authentic, I am available for authentications/appraisals. My fee is $125 for the first item and $75 for each additional. 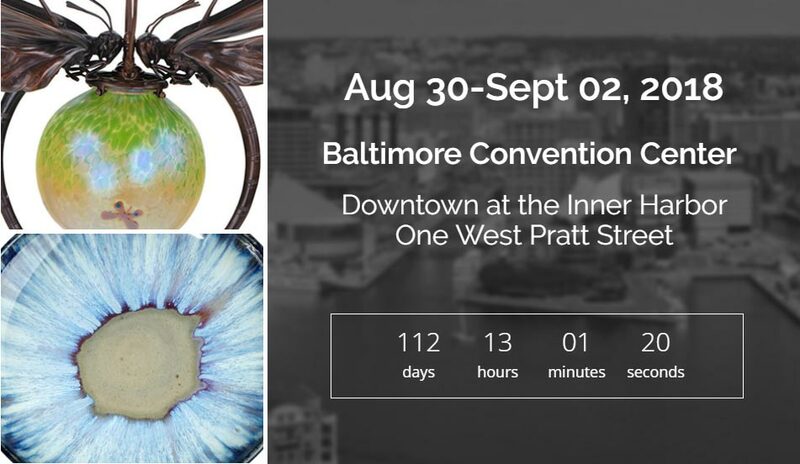 The Baltimore Art, Antique & Jewelry Show is now only three weeks away, at the end of this month, August 30 – September 2, 2018. Unfortunately the Baltimore show promoter has moved the show one week later than usual, to the Labor Day weekend. The show used to be held over the Labor Day weekend, but that was many years ago. The show is wonderful, so we’ll continue to exhibit there regardless of the change of dates. 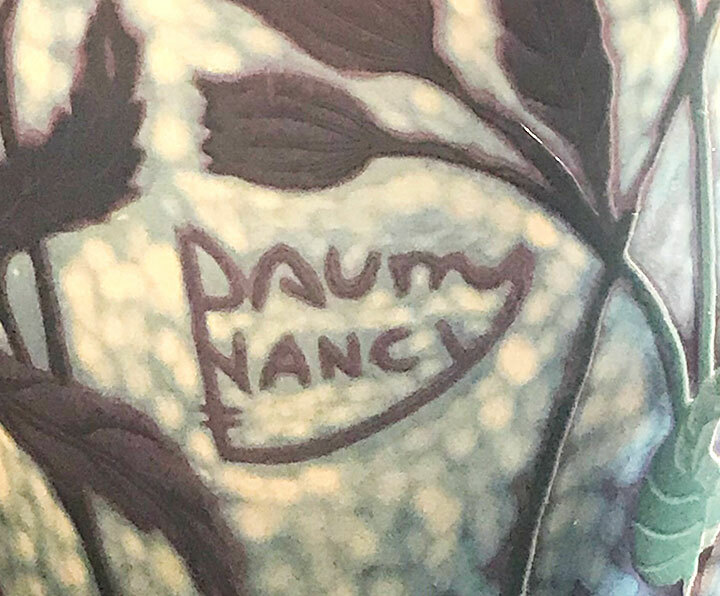 This entry was posted in Daum Nancy, French cameo glass, Knowledge is power and tagged Authentic Daum, Authentic Galle, Daum, Daum Nancy, French cameo glass, Philip Chasen, Philip Chasen blog by Philip Chasen. Bookmark the permalink.